Sleep is definitely not overrated! I have always loved my sleep but have to admit that as a parent, especially when your kids are in their own big boy or big girl bed, it can be really challenging to get enough sleep. It’s difficult at times to get my daughter to stay in her room when it’s not time to wake up yet. 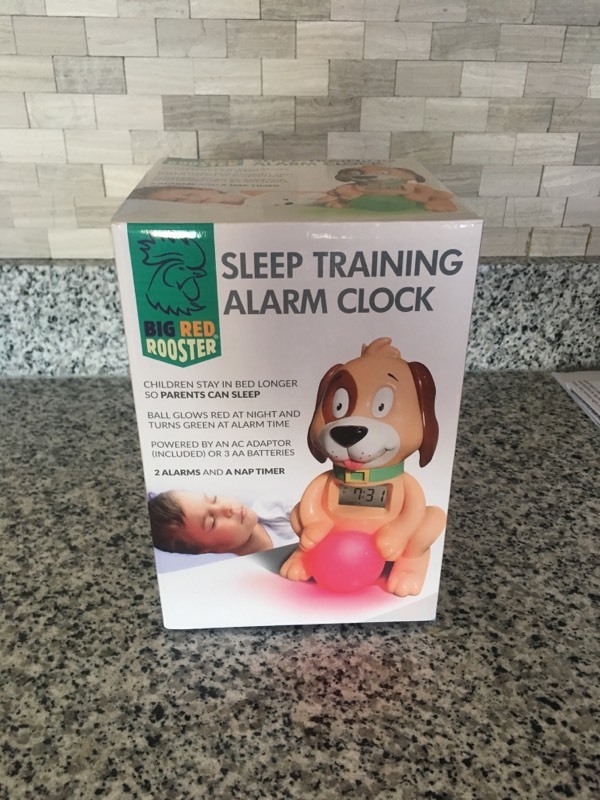 Or should I say it WAS challenging…that is until I found out about the Big Red Rooster Adorable Puppy Sleep Training Alarm Clock! 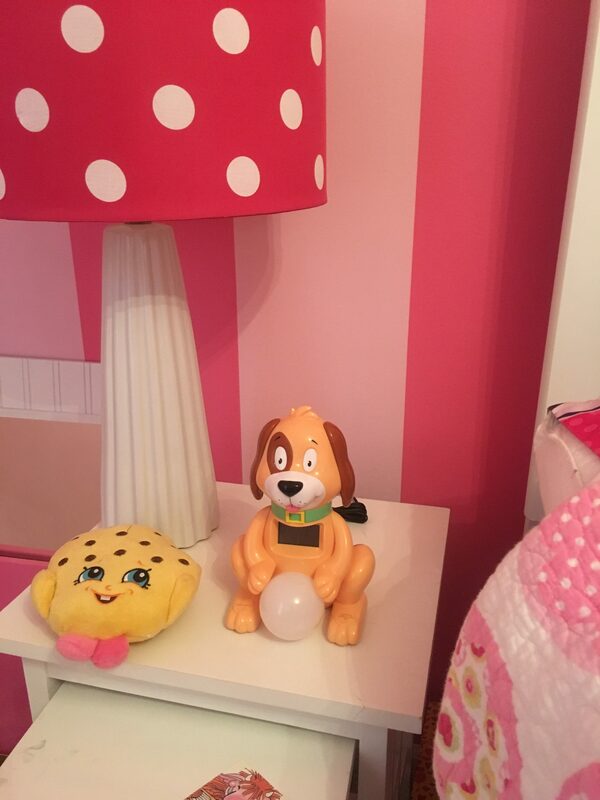 My daughter loves having this cute puppy in her room now and she even named her Sparky (how original)! This amazingly cute alarm clock is great for children from 2-7 years of age because they can easily learn to stay in bed during the night. It’s really simple – they need to stay in bed when the light is red and can get out of bed when the light is green. It has two alarms for a weekday alarm time and a weekend alarm time. It only took my daughter two nights to get this new habit down pat! I am seriously buying all of my friends who have young kids this gift for their birthdays coming up! It’s the best gift ever because kids love it because it’s so cute and parents love it even more because they actually get some sleep! Disguised As An Adorable Puppy, Big Red Rooster Introduces The Sleep Training Alarm Clock. Parents are struggling with children waking up at 5 a.m. or earlier and here is the solution, Big Red Rooster’s Sleep Training Alarm Clock. It is a whimsical dog that adds to the appeal for children while assisting tired parents in getting their children to stay in bed longer. The clock is perfect for children ages 2-7 years of age. Children will learn to stay in bed when the light is red and know that they can get out of bed when the light is green. The 2 alarms are perfect for a weekday alarm time and a weekend alarm time. The nap timer can be set from one minute to 12 hours. The clock is powered by an AC adapter (included) or 3 AA batteries (not included). Consider gifting this adorable dog as a birthday or holiday gift! Big Red Rooster prides itself in creating products that allow a child to stay in bed longer so that parents can acquire the necessary sleep to function the next day. Sleep better, wake up refreshed! The sleep training alarm clock is for children and parents. The ball color trains the children when they should remain in bed and when they can get out of bed. There are two alarms and a nap timer which are perfect for weekday and weekend alarm times and naps. There is a hidden parent compartment, so children cannot change the setting or turn the alarm off early. Instructions are user friendly and are printed on the inside of the parent compartment.